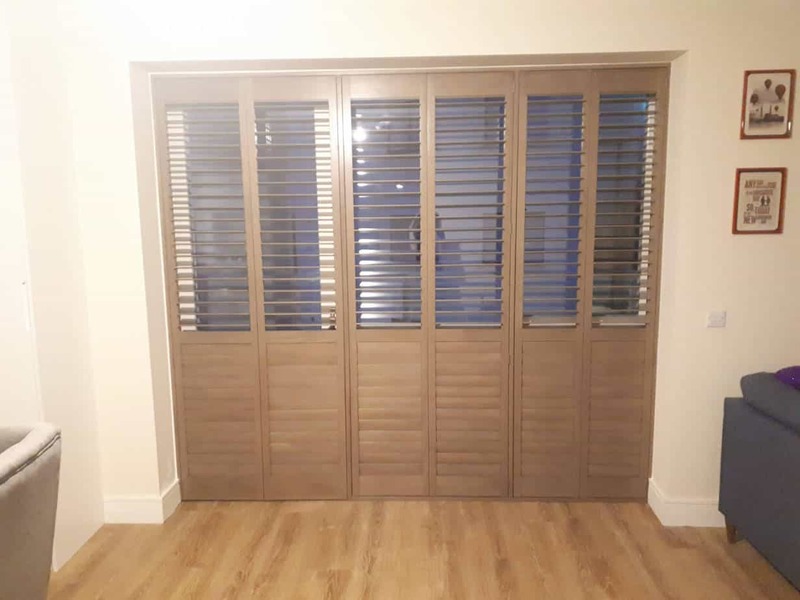 Rustic Gray plantation shutters fitted in Luttrelstown, Dublin 15. 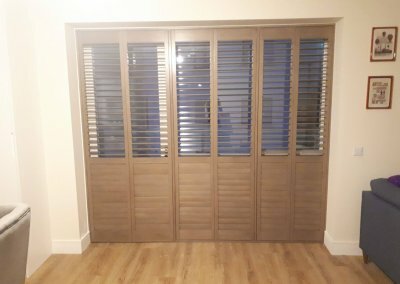 These shutters come with bi-folding panels and a hidden tilt. 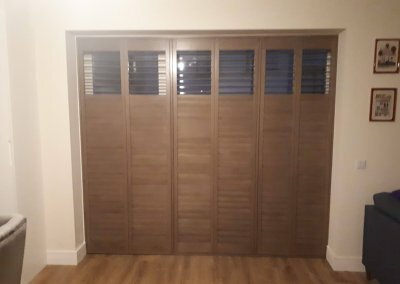 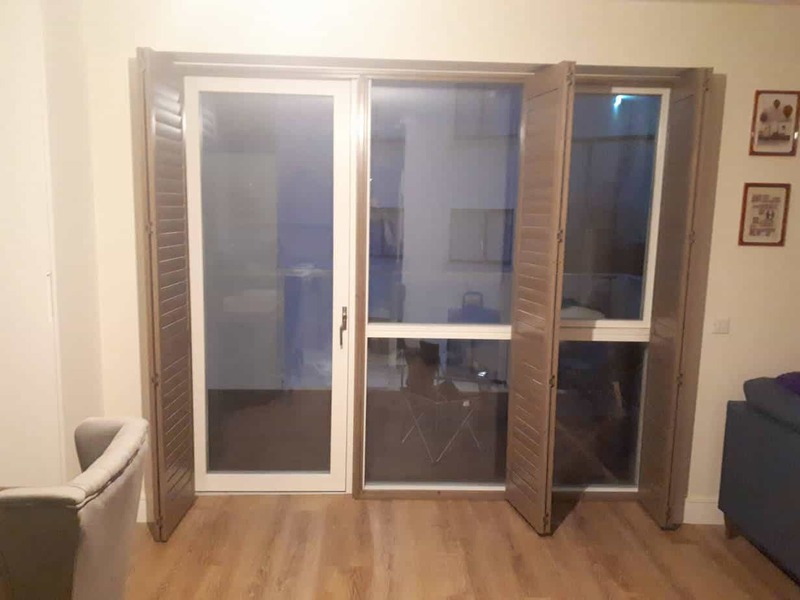 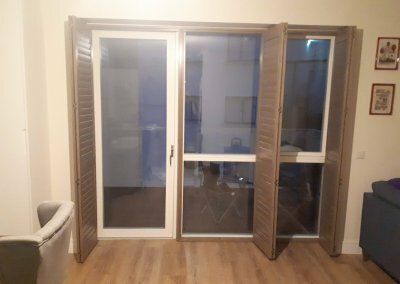 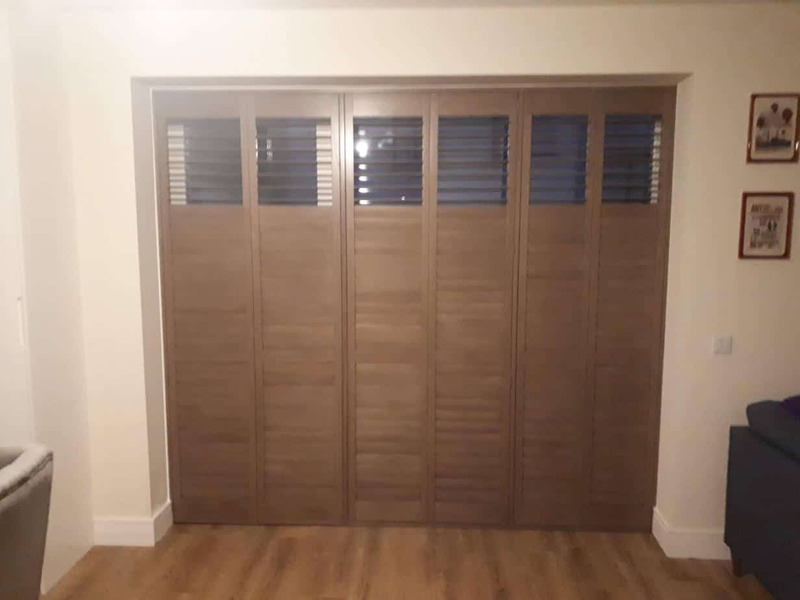 Also what you will find is that the panels on these shutters can be closed at the bottom and the top part can be left open. 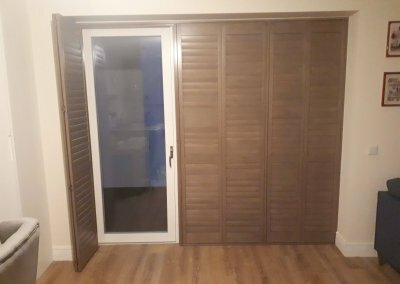 This is called a split tilt and this free option allows you to let light in while having privacy.